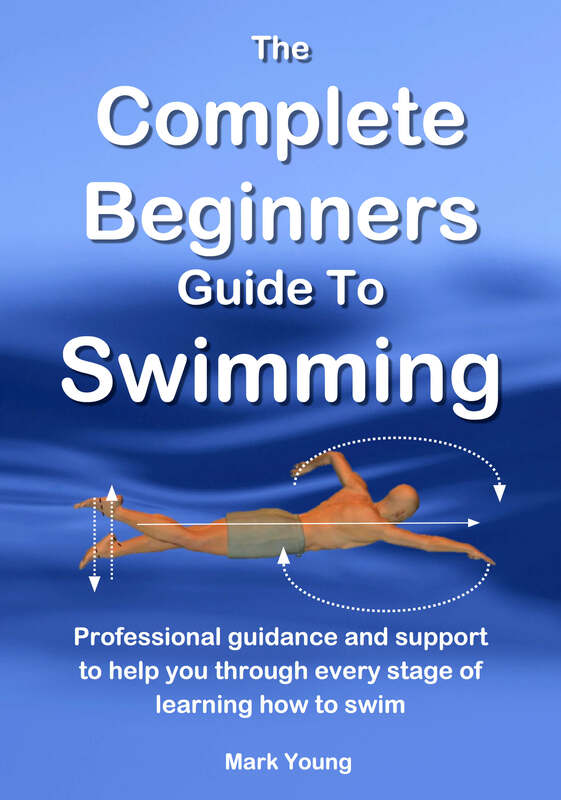 I bought a copy of your Complete Beginners' guide which has been a great help in getting me back into the pool after 30 years. I'm having lessons and trying out your advice during these; I am now more confident in swimming with a noodle on my front and back, and have improved my leg kick in particular, or so my instructor says, over the five weeks I've been going. I can also put my face completely under the water and exhale in control, something I have always found impossible, so thank you very much for your exercises! What I would like to ask though if you have any advice for overcoming the terrible lurch in my stomach I have every time I set off on my front - I feel as though I'm going to sink every time until I get my kick going. I never have this when I'm setting off on my back, I'm quite calm leaning back and setting off, and I can also stop more confidently going backwards, but find it hard to put my legs down when going forwards! I realise it must all be psychological, but I'd be grateful for any advice to get over it! Thanks for getting in touch and thanks also for your kind words about my book. It sounds like you have made some good progress. Great! You have managed to answer your own question in a round about kind of way. You are absolutely right, it is mostly psychological, but there are a couple of things you can do that might help. As you push away from the poolside there is a momentary period of feeling unbalanced. That wobbly feeling as you get as you attempt to get into a rhythm. Your face is either submerged or directly on the water surface. Either way it can be an unnerving feeling. Unlike lying on your back, which is relaxing as you are not looking at the water. Not feeling completely confident with stopping and standing up. so I’m not going to like it this time’, type of thing. Combine all of the above and you will most probably get your lurching feeling in your stomach as you set off. You mention in your note that you are completely confident with standing up from a supine (on your back) position but not so confident with standing from prone (on your front). This I think is where the source of your problem lies. It is very difficult, psychologically to set off swimming on your front when you know deep down that stopping and standing might be a problem. Forget swimming for a moment. Try experimenting with just floating. Stationary, face down in the water, usually in star shape and learn how your body behaves. If, like me, you naturally sink you will do so gradually and slowly. The human body does not sink like a stone. From there you can experiment with placing your feet on the pool floor and standing up. There are no points for technique when you do this so don’t stress about doing it with perfection. However you do it, do it slowly and without urgency or panic. Draw your knees forward towards your chest and place your feet down before lifting up your head. Only when you get more confident will you be able to lift your head and place your feet down at the same time. Then move onto floating towards the poolside. Push off the pool floor with your face down and stand up in front of the poolside but without touching it. Psychologically you have the security of the poolside to hold if you need to, which should help you to stand up without needing it. When you become more confident with this then venture further away from the side and then eventually practice it pushing away from the poolside. In time your confidence will grow and your lurching feeling will go away. You have overcome some of the more difficult hurdles in learning to swim and I have no doubt you can conquer this one. I hope I have helped in some way and I wish you all the very best.